That’s right folks. 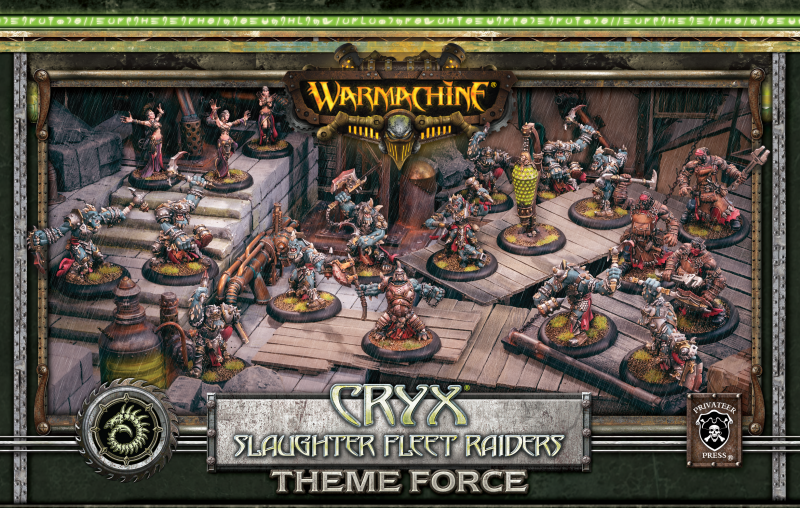 This week in addition to the release of the Slaughter Fleet Raiders, we get a preview of two of the upcoming Satyxis Pirate forces. These swift and sultry skirmishers are just as deadly and blood thirsty as the other pirates (moreso in fact), so don’t end up on the wrong end of one of their Blood Priestesses, or you’ll likely spend what remains of your very short life wishing that it were over even sooner than it already is. 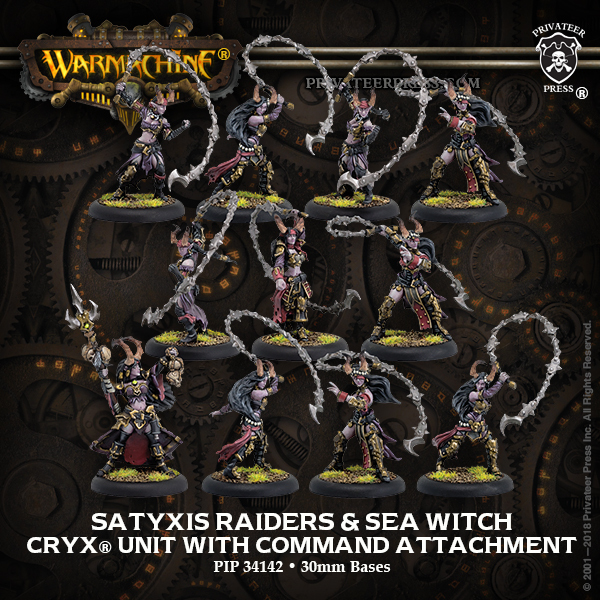 First up is the resculpt of the Satyxis Raiders and Sea Witch–holy cow do these ones show some improvement. 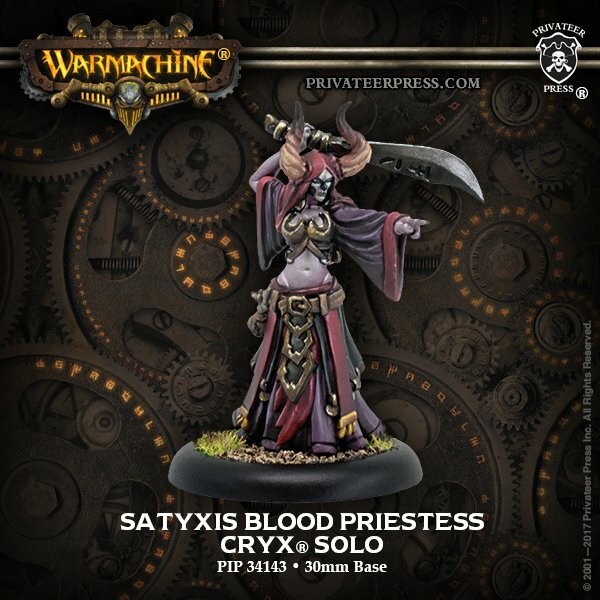 Then there’s the new Blood Priestess, a blood magic-wielding solo that will doubtless find new ways of cheating (they are Cryx, after all) before all is said and done. CHUM THE WATER WITH THEIR GUTS! Composed of horrifying blighted trollkin, the Slaughter Fleet is a weapon of terror and carnage wielded by the Nightmare Empire. The cannibalistic Bloodgorgers emerge from the holds of the fleet’s vessels to sow bloodshed and chaos on the mainland. General Gerlak Slaughterborn leads these brutal campaigns, hacking through his opponents in a spray of gore. 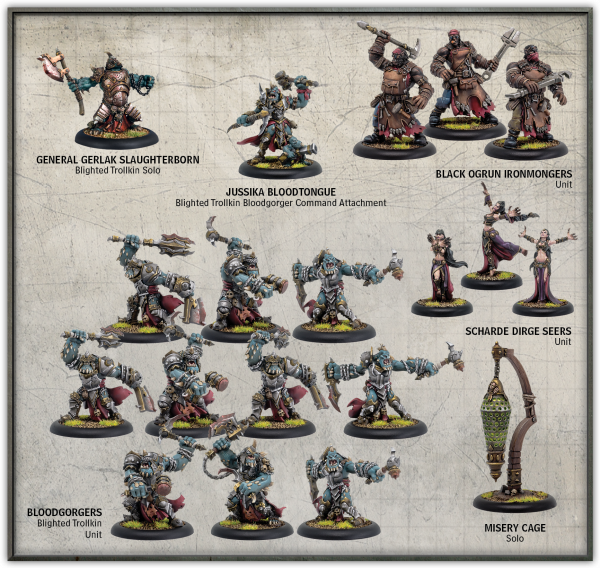 Take command of these merciless pirates with this box, which contains a full crew of Slaughter Fleet raiders ready to support your warcaster’s battlegroup! The Slaughter Fleet Raiders seem so friendly. Always so chummy. They even keep misery caged up, away from where other people might get into it.